As a special event two episodes of SOUNDBREAKING were run at DOC NYC. 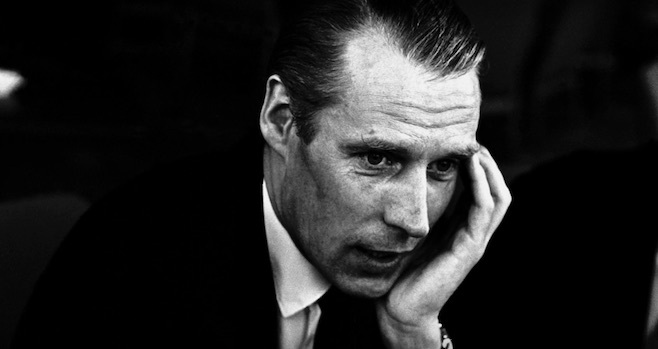 The series is one that was produced by George Martin and when seen in its entirety is supposed to give one a sense of how music recording has evolved over the years. The first episode gives an explanation of what a record producer can do. The second episode is how recording allowed one, as the the title says paint with sound and create sonic images. I was very excited about the series when I first heard about it. The series was actually one of the few that I was planning on seeing when it ran on PBS. Now that I've seen two episodes I'm not sure I'll bother finishing it. Pulling together all of the right people telling all the right stories and a full of unexpected film footage and audio recording SOUNDBREAKING looks on paper look like a home run, It has everyone from Paul McCartney and George Martin to RZA and Roseanne Cash talking about recording. This is anyone who matters even if the names aren't well known. It's beautifully produced, sonically stirring and yet the whole thing just lies there. I'm sorry for what ever reason the show isn't alive. There is no sense of fun, of joy or of wonder. Its not bad, it just feels clinical, almost as if we are watching a film at school. Its not bad, it simply didn't stir my soul. In fairness the remaining episode may change my feelings but based on these two its going to be a chore to get me to come back and see them.